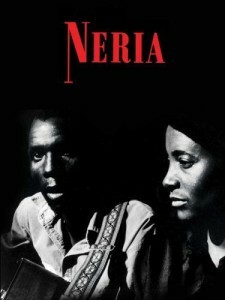 Neria is the story about the protagonist, Neria, a 35 year old woman living in the Harare suburb of Warren Park. When the movie begins, she is happily married to Patrick and has two children, Mavis, aged 13 and Shingirayi aged 7. Both children are in school and seem to be happily provided for by their parents. The family has just bought (or finished building a new home) and owns a modest car. Neria works at a women’s crocheting co-operative where, in a good month, she earns as much as her husband. Neria and Patrick are painting their new home, a project which Neria contributes to both financially and physically. Patrick and Neria have been living in the city since their marriage, though they go to the village to visit their relatives on occasion. The bottom-line is that Neria’s family is modern, happy and secure. Much of the happiness seems to come from the fact that Neria and her husband understand each other so well.